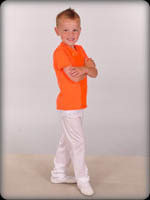 At Viki Lynn’s, the “little ones” are a very important part of our Dance Family. We’ve created this class just for them! This is a structured class, but we make learning FUN! In our Kinderdance class, we focus on body awareness, improving coordination, understanding rhythm, developing listening skills, and learning to follow directions. In this class, the students enjoy moving to music. They love to dance to the cute little songs, which are designed to help them learn. This very important class is designed to build the skills the student will need in dance classes, in school, and in life. Age 5 and up.We will accept mature 4 year olds in ballet, however, it’s to the child’s advantage to have taken at least one year of kinderdance previously. 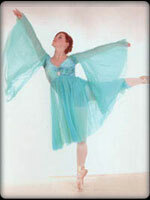 We teach age, and level appropriate ballet steps, technique, and terminology. The study of ballet helps build a strong foundation in dance. Students gain body awareness, strength, flexibility, poise and confidence, It will greatly benefit the student in most other types of dance. LEVELS: Beginner through advanced. After the Beginner level, the studio director will determine at what level the student is placed. Mature 4 year olds are eligible for tap, but it would greatly benefit the student to have taken at least one year of Kinderdance previously. Tap is easier to learn if the student has developed the skill of listening, and is able to follow directions. Tap is a fun way to develop rhythm, improve coordination, and express yourself through feet! As the student progresses, increasingly challenging steps and intricate rhythm patterns are presented. Our acrobat classes consist of both mat tumbling, and acrobat. The student will develop flexibility in the back and legs, as well as strength and control. Depending on the level and ability, students learn to execute skills from forward rolls, backward rolls and cartwheels, to front handsprings, back handsprings, and many types of aerials. A strong background in acrobat and tumbling can also greatly benefit those who wish to participate in cheerleading and gymnastics. LEVELS: Beginner through advanced. 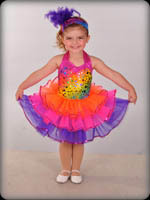 After the Beginner level, the studio director will determine the student’s placement level. Various styles of Hip Hop, Street Dance. NOTE: The Hip Hop students must also take a Jazz class. 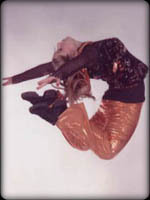 After the Beginner level, the studio director will determine at what level the student is placed. In this class, we study Tahitian, Hawaiian, and we also work with Poi Balls (Maori). Fill out and print the registration form.